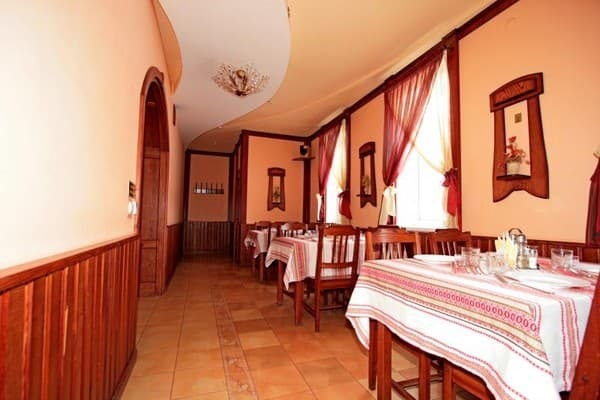 Hotel "Kalina" is located on the central street of Kremenets, in close proximity to the central railway station. The hotel offers comfortable rooms of different categories with all amenities. Each room is equipped with a flat-screen satellite TV, telephone and private bathroom. Some rooms are air-conditioned. A cozy cafe is divided into 4 thematic halls. In the menu dishes of Ukrainian and European cuisine, in the evenings - live music. 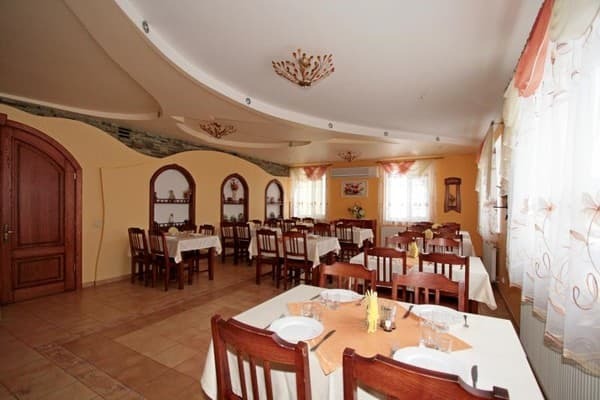 For the convenience of the clients of the hotel "Kalina" the price includes Wi-Fi access and parking. The hotel is located at a distance of 500 m from the bus station, 16 km. from Pochaev. Description of the room: The suite consists of a bedroom equipped with two single beds, hallway and bathroom. Description of the room: The room consists of a room with three beds and a bathroom. 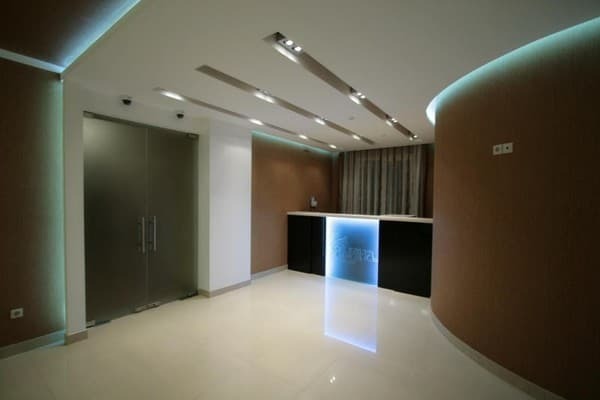 Description of the room: The suite consists of a living room, bedroom (equipped with a double bed), bathroom, hallway. This room is for two guests. Perhaps the extra seats. The service fee (from 50 UAH. For 1 person), requires the prior approval of the reservation. Очень понравилась возможность отдохнуть, после целого дня путишествия в комфортних условиях. Отдыхали семьей со взрослыми детьми. Персонал вежливый, официантки в кафе внимательные, приветливые. В номерах чисто , приятно пахнет. Спасибо , очень довольны. Чудовий готeль. Номeри затишні і чисті. Дякуємо адміністратору Марійці. Отель расположен в хорошем месте. Удобно добираться к Почаеву и к центру города. Рядом супермаркет. Номера удобные, с хорошим ремонтом. Персонал вежливый, приветливый. Кафе утром начинает работать с 10 часов, поэтому с завтраком проблема. Отличная гостиница, новая мебель, новая сантехника, приветливый персонал, есть мини-сад с беседками, хорошее кафе с приемлемыми ценами. Есть комната с микроволновкой, чайником, холодильником и посудой. Пребывал во многих гостиницах, в разных областях Украины. Данную гостиницу отношу к наилучшей по качеству ремонта и обслуживания, учитывая при этом цену за одноместный номер "аж" 120грн.!!! Children under 10 years without extra beds are accommodated free of charge. It is possible to provide additional seats. The service is chargeable, requires prior approval upon booking. The cozy hotel café is divided into 4 theme rooms. 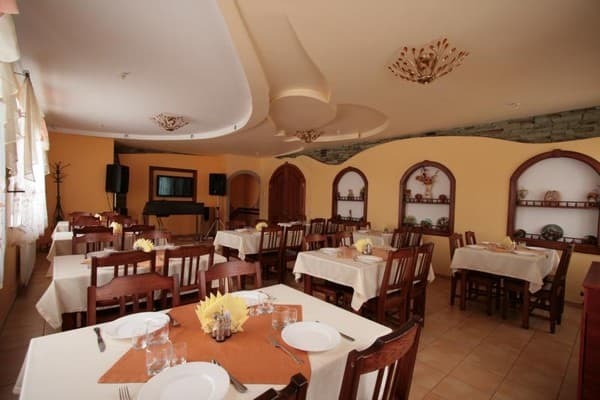 In the menu dishes of Ukrainian and European cuisine, in the evenings - live music. 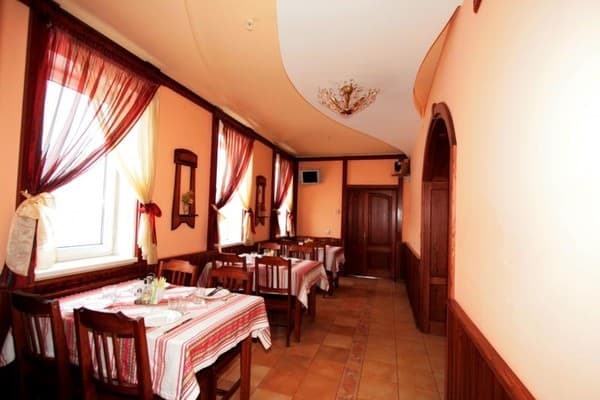 Hotel "Kalina" is located on the central street of Kremenets in close proximity to the central railway station of the city. Distance from the hotel to the bus station of the city of Kremenets - 500 m.
From Pochaev to the hotel is 20 minutes drive (20 km) along the P26 highway.